Sheffield is blessed with its theatres. Something for all tastes and moods and, for the past six and a half years, this vibrant theatre scene has also been blessed with Daniel Evans, the artistic director of Sheffield Theatres who has overseen the theatres grow in national and international reputation and brought acclaim and awards to the city. Alas no more. 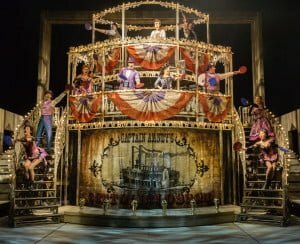 Mr. Evans is off to pastures new at the Chichester Festival Theatre and so it was with celebration and sadness that I attended his final Christmas musical, Showboat. 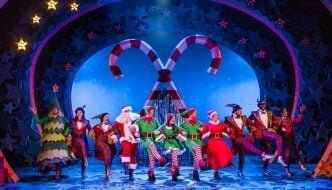 The Christmas musical has a long tradition at the Crucible and provides a good counterpoint to the fun of the Panto over the square. Under Evans we have seen musicals that mix lavish sets, dance routines, showstoppers and razzmatazz with an undercurrent of social commentary; My Fair Lady, Oliver, Anything Goes and Jerome Kern’s sweeping piece of Americana may be the best yet. It has always been to Evan’s credit that he manages to make even the most familiar and worn musical seem right for now. 2015 was a year that saw racism in the US thrust to the fore once more, a year in which it felt urgently necessary to actively point out that ‘Black Lives Matter’. “Black folk work on de Mississippi, Black folk work while de white folk play” sing the riverboat workers at the start of Showboat. It is moving and sad that the characters and their words are in no way anachronistic. Almost 100 years after Kern wrote Showboat America and, by extension Europe, have still to rectify the disadvantages people of colour face in a supposed post-colonial, post-slavery world. This troubling and problematising parallel between then and now builds into a heartbreaking rendition of Ol’ Man River as the centrepiece of the first act. Emmanuel Kojo as Joe, deftly combines strength with resignation as he leads the ensemble chorus. 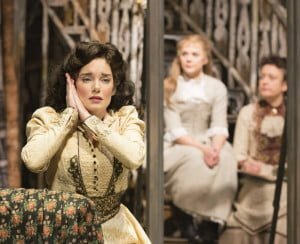 And, like the river, the live orchestra (who play Kern’s score beautifully throughout) swells along with the cast’s voices from a vulnerable fragility to a defiant roar that took my breath and brought tears to my eyes. 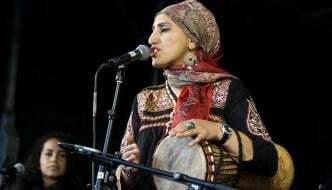 It was a performance that will stay with me for a long time. That isn’t to say Showboat is all doom and gloom or purely about race. In fact there are so many subplots and characters and standout performances that to praise one specifically would be to do a disservice to another. Following the lives of the crew and performers on the Cotton Blossom through forty years of American history there are also lighter moments as social change surely, but slowly happens. As in many musicals the entertainment industry is presented as a safe space of tolerance, where different classes and races intermingle, sharing culture and ideas. In this atmosphere loves are made lost and regained and if the plot is a little schmaltzy in the second act, which races through time as well as narrative, it is saved by witty and subtle performances and the strength of the score and songs. In the end, Showboat is a musical about constancy and change. The river keeps flowing while the fortunes of the characters ebb and flow. Daniel Evans has been a constant of Sheffield theatres for some time now and I have had great pleasure seeing his work ebb and flow. Chichester’s gain is Sheffield’s loss. I wish Mr. Evans all the best and hope that the change that’s coming to Sheffield Theatres will see them continue to deliver strong groundbreaking theatre. Showboat is a beautiful and fitting production to mark the end of his work with Sheffield Theatres. I would urge everyone to see it. 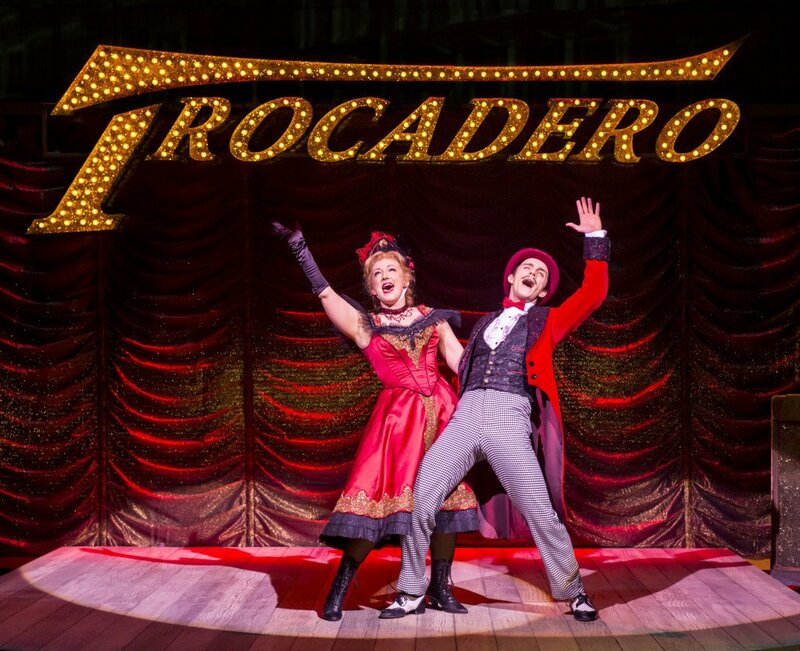 More info about Show Boat‘s run at The Crucible here. The show transfers to the New London Theatre on April 9th and is currently booking until January 2017. More details here.